Well, the trend of amazingly cheap things in mainland Southeast Asia continues here, with what is certainly the world's cheapest liquor, in Laos. For a long time, the cheapest vodkas in Russia might have been contenders in this category, but recent rules regarding minimum prices there (at least for the legal stuff) have made those at least five times more expensive than what you can still get in Laos today. In Vientiane, the capital city of Laos, you can find this stuff in small shops all over the tourist district for under US$1 for a full-size bottle, with an alcohol percentage of 40 or 45. In a retail setting it's usually clear, but there are other varieties that have an amber color to them. Lao-Lao, nearly as ubiquitous a drink as the ever-popular Beer Lao, can be found all over Laos. 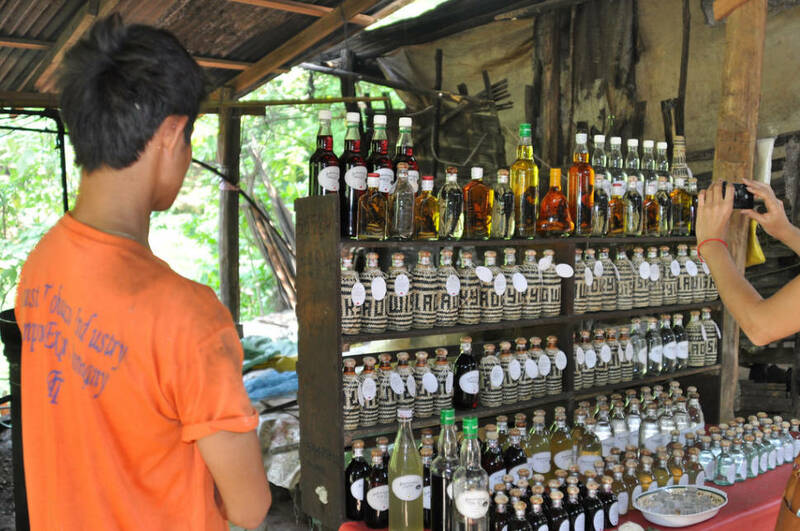 It’s hard to say which drink is more popular, the official national beer, or the home-brewed sticky rice moonshine that’s brewed in every village and town from high up in the Laotian mountains to the lowland river valleys. Lao-Lao, despite the way it’s written, isn’t just the same word written twice. “Lao”, with a falling tone, means “alcohol”; while “Lao”, with a rising tone, means “Laotian”. Literally, the drink’s name means “Laotian alcohol”. Lao-Lao has been brewed for hundreds of years. Made from fermented and distilled sticky rice, this clear rice “whisky”, Lao-Lao is sometimes added to Beer Lao to strengthen it, and is almost always served to guests at a traditional Laotian meal. 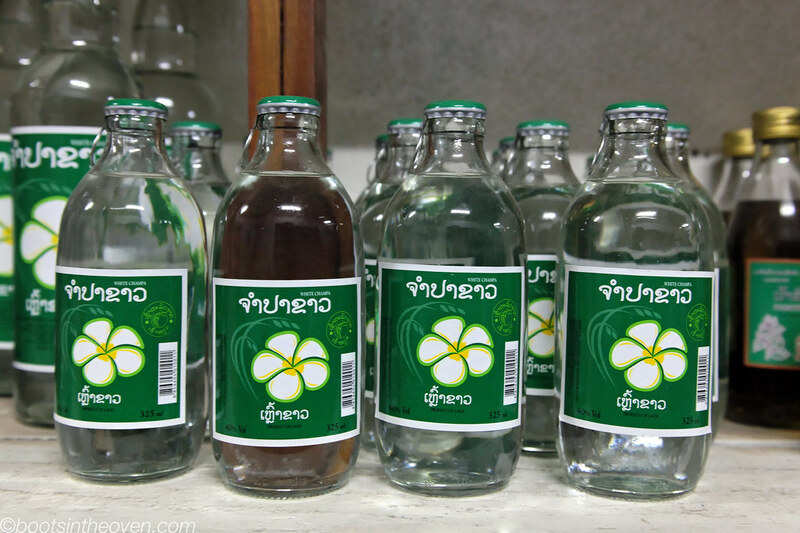 Tourists don’t usually drink much Lao-Lao, although the brands sold at the supermarkets and convenience stores in the country are safe to drink. 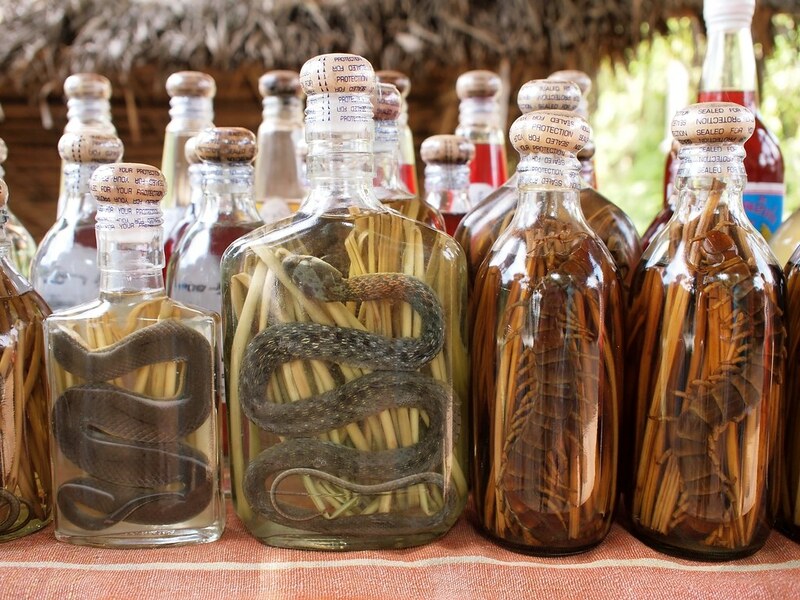 A bottle of Lao-Lao with a preserved scorpion or snake is a popular tourist souvenir, and for many villages, it’s a big source of tourist income. Lao-Lao is super cheap, just a few thousand kip per bottle (a few dollars). The taste and alcohol content ranges wildly, but is often slightly yeasty and sweet, like Japanese sake. That's right, for just under 75 US cents you can be the proud owner of your own bottle of locally produced rice whiskey, usually known as lao-lao. 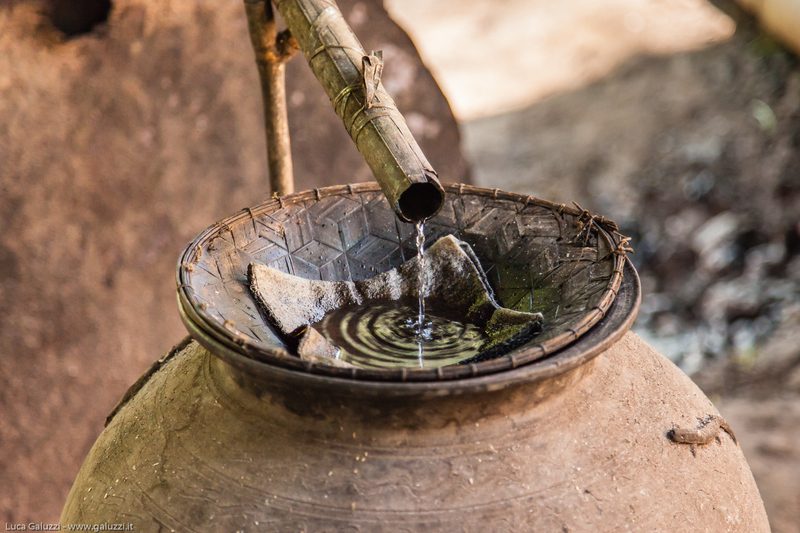 It's a simply made whiskey that is distilled from rice, and it's available all over Laos. If you watch various travel shows you might have seen the hosts sampling lao-lao right next to the M*A*S*H-style still that produced it in the jungle, but it's also available in normal retail outlets, obviously produced in large quantities. It is also known as Java or Indonesian cinnamon.